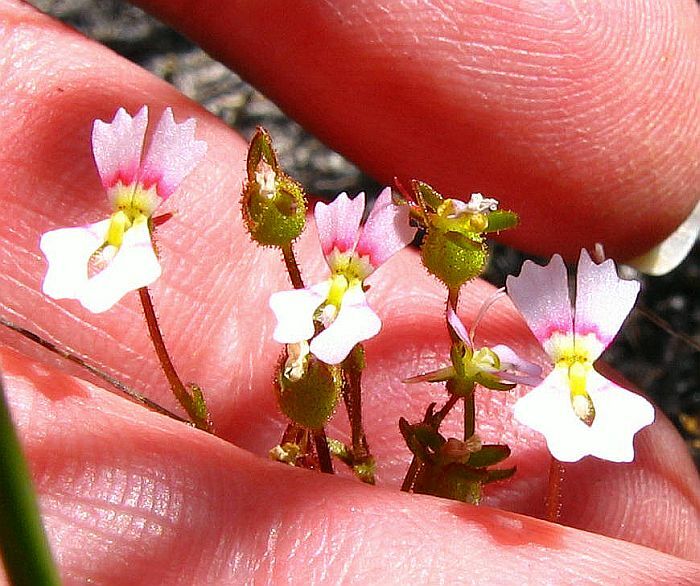 An extremely common little plant, often occurring in their tens of thousands, if not millions. 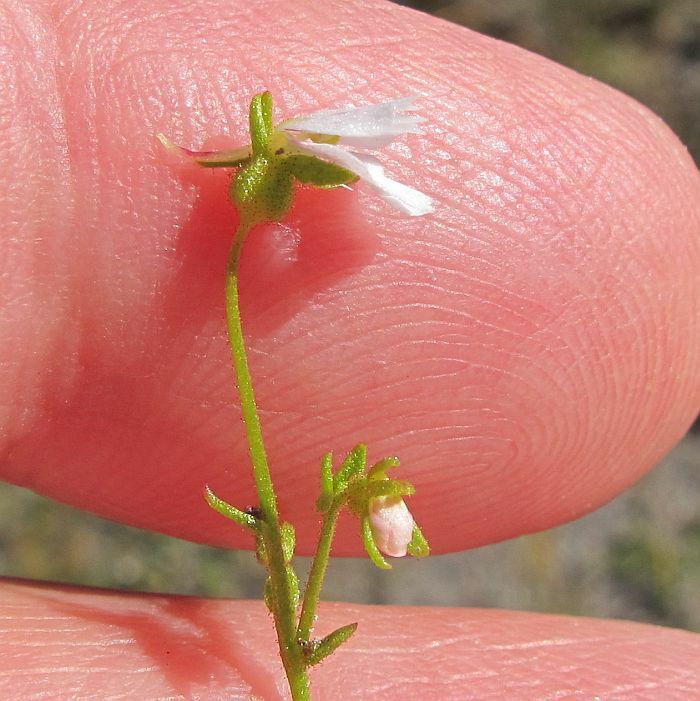 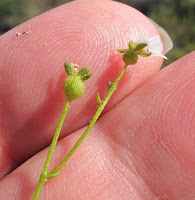 However it is often overlooked as the top and bottom pair of petals fold together (book-like) and being small (usually under 10 cm or 4” in height), plus having white petals in reverse, make it look like a finished flower. 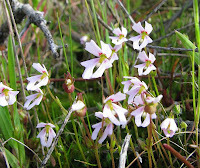 However if seen in the morning when pleasantly warm and sunny, there will be a mass display of pretty colourful flowers. 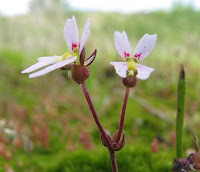 Stylidium calcaratum is an annual herb, reproducing from seed every year and growing in moist peat/sand soil around swamps, rocky outcrops, seepage areas and floodplains. 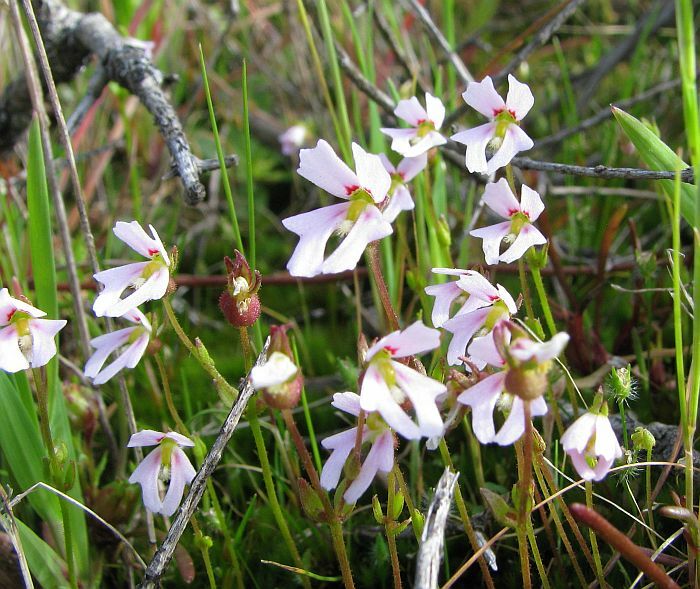 It does not grow in wet or very dry soils, but in low-lying flat areas where the soil remains reasonably moist. 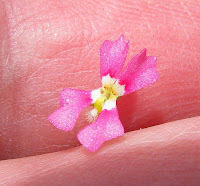 It can be seen from the photographs that petal colour can vary considerably, although their markings tend to be consistent. The feature that makes these plants quite distinctive and as their Latin species name suggests, ‘calcaratum’ means spurred and refers to the usually long nectary spur at the rear of the flower. Sometimes this appears to be lacking, but will only be seen when its protecting calyx lobe is lowered at maturity. 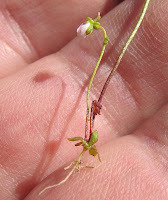 It also has 2 small appendages in the throat. 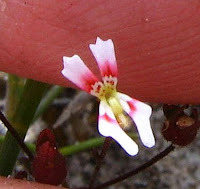 The only other Stylidium species it could be confused with is S. ecorne, once classified as a variety of Stylidium calcaratum. 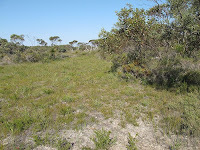 It differs by having a much smaller spur, or none at all, plus the upper petals instead of being tri-lobed are single acutely lobed; also despite being coastal south of Perth, is more of a wide ranging inland species, especially around granite outcrops. Stylidium calcaratum on the other-hand is generally near coastal particularly in the southwest, but also extending north to Eneabba and east of Esperance to Cape Arid. 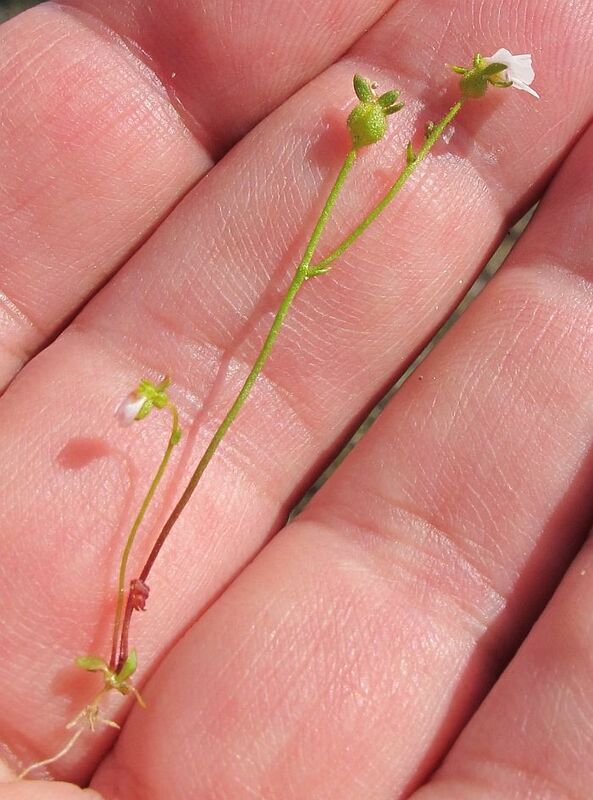 Flowering is recorded from July to January, but this is very dependent on local rainfall, as they will quickly disappear upon the onset of hot dry weather. The Stylidium genus is part of the Stylidiaceae family.